The Organising Committee of the 2019 Smart Rivers Conference invites you to a Rhône and Saône evening cruise with a cocktail party on Tuesday 1st Ocotber on the Hermès II boat. The special session organized by the IAGF Forum "Initiatives for the Future of Great Rivers" and IAVP, the global network of IAVP port cities will have the theme: River and Port to the reconquest of cities and inhabitants. The professional interaction and exchange of ideas remains a hallmark of the SmartRivers conference series. Organizations that provide services or goods related to any aspects of inland waterborne transport are cordially invited to join us. 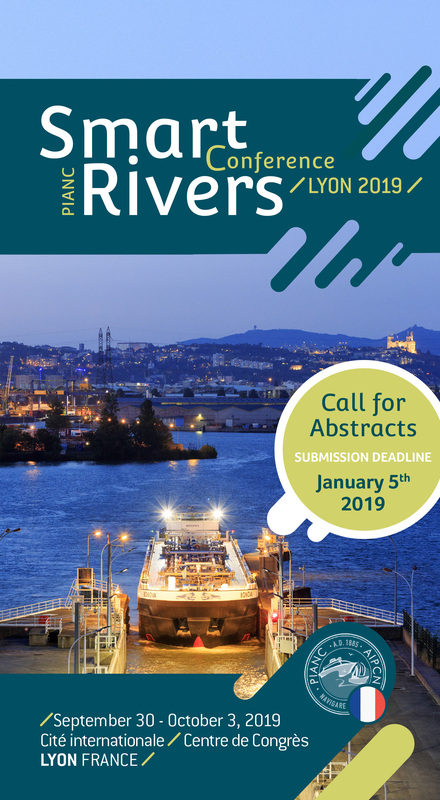 After Pittsburgh (USA) in 2017, the next edition of the international conference Smart Rivers, organised by the French section of PIANC, structured around CNR, VNF and Cerema, will take place in Lyon from September 30 to October 3, 2019.
river ports, transport operators, engineering companies, in particular on innovative topics. Technical short courses on specific topics. Smart Rivers promotes exchanges and networking. It also allows to combine meetings or events with your own network.